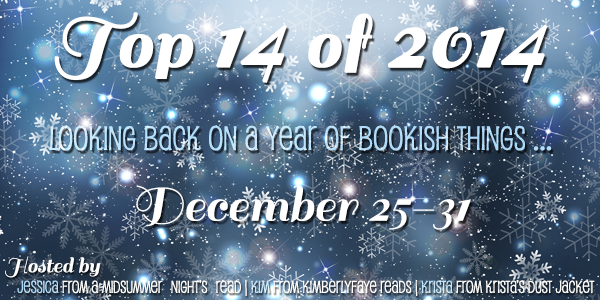 I can’t believe this is my final post in the Top 14 of 2014! Thank you to Krista from Krista’s Dust Jacket and Jessica from A Midsummer Night’s Read! This was a really fun look back at my year. I am so excited to share this awesome end-of-year meme with you today! I know I love looking back on my year in books and picking out my favorites. I hope you will, too.